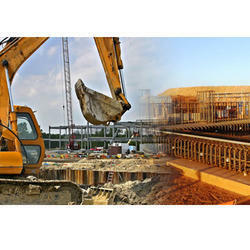 We provide Civil Manpower for construction of buildings. We have become one of the leading firms, actively engaged in rendering Civil Recruitment Services. Civil Recruitment Services are imparted by our diligent professionals in tune with the set quality standards. Offered services are widely known in the market for their hassle free management, cost-effectiveness and client-centric approach. Civil sector is the most dynamic and quickly progressing sector as building the solid foundation for residential, industrial and commercial spaces along with alluring design is the latest trend. With the expansion and modernization, the sector is introduced with hi-tech machines, which requires skilled manpower to operate them. Team Weavers Consulting Pvt. Ltd.
We also provide recruitment services.